This fiesty little pre-historic Cavewoman figure is a great model to use in an Ice-Age scene with some of our life-size animal models and heads. 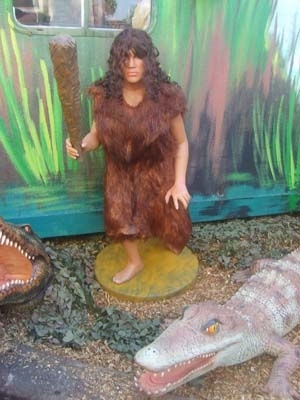 This Cavewoman figure looks great used in a pre-historic cave scene or against an icey landscape. 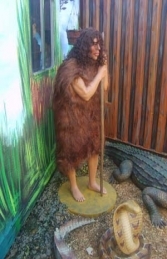 She is dressed in a shaggy animal skin (not real!) and wields a replica club.